1930s French Plane - Stick Mounted Overhead? 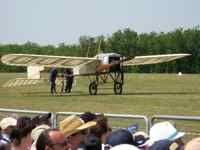 I am wondering if you know of a French made plane that had the stick mounted overhead rather than on the floor? I am sorry that I cannot contribute anything about flying or antique airplanes, but I did want to ask about that French made airplane. I was given a ride in a red single engine plane during the 1930's in Paraguay, South America, and I recently read that Antoine de St. Exupery was flying there during that time. I was wondering if I may have had the honor of being his passenger? I’ve been looking for that antique airplane. Can you help? Comments for 1930s French Plane - Stick Mounted Overhead? Well... If you really did have the honor of flying with Antoine de St. Exupery in Paraguay, that would really be adding something! I’m afraid we really don’t know about a French plane that had the stick mounted overhead. Maybe it was the throttle that was overhead? Many seaplanes and amphibians have that configuration. 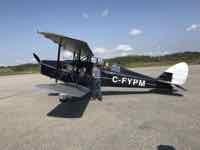 We did a quick search of Antoine de St. Exupery and antique airplanes with throttle overhead. We found that he moved to South America in 1929 to work with a company called Aeroposta Argentina... he was one of their first pilots and a director of the company. Through the 1930s they flew mail to many areas of South America including Buenos Aires to Asuncion, Paraguay. He apparently learned to fly in Farnam and Sopwith aircraft. In South America, among the aircraft he flew were the Breguet 14 and Latécoère 25. Late in the 1930s he bought a Caudron Simoun. But I’m afraid you have us with that bit about the stick mounted overhead. I’m going to go ahead and put this up on the website. We’re a small site, but maybe one of our readers will be better able to answer your question. Join in and write your own page! It's easy to do. How? Simply click here to return to What Plane Is That?.